2. Age: Candidates should not be over 57 years of age, as on 31.07.2016. 3. 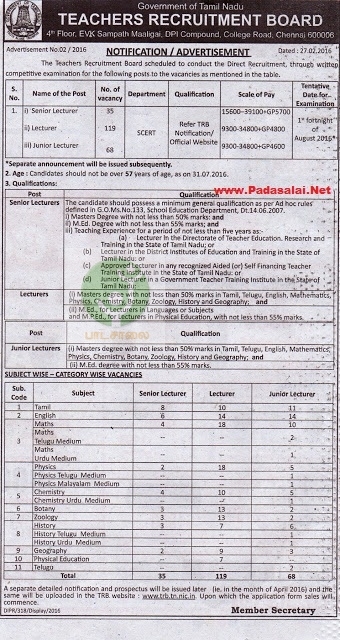 Qualification & Subject wise - Category wise vacancies published in notification. A separate detailed notification and prospectus will be issued later. (In the month of April 2016) and the same will be uploaded in the TRB website. Upon which the application from sales will be commence.